Accused, identified as Abdul Naeem Sheikh, a resident of Aurangabad in Maharashtra, was arrested from Lucknow today after being tailed by security agencies for a few months. NEW DELHI: Security agencies have arrested an alleged Lashker-e-Taiba operative and claimed that he was carrying out reconnaissance of vital installations such as Army camps and power projects, officials said today. 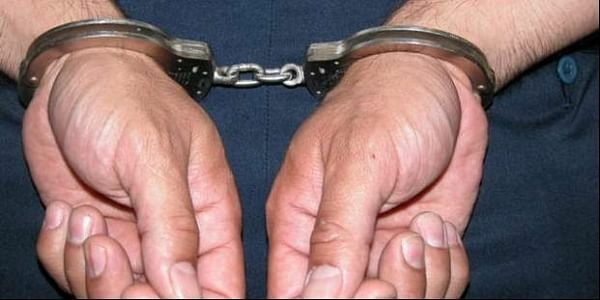 They said that the accused, identified as Abdul Naeem Sheikh, a resident of Aurangabad in Maharashtra, was arrested from Lucknow today after being tailed by security agencies for a few months. The case has been handed over to the National Investigation Agency (NIA) for further probe, the officials said. It is alleged that Sheikh had visited Kashmir where he had carried out a recce mission involving some vital installations, including Army camps and power projects. The officials claimed that he had also visited some places in Himachal Pradesh, especially Kasol, which is being frequented by Israeli nationals. The security agencies have claimed that Sheikh had been roped in on the same lines as David Headley, a Pakistan- American, who is at present serving a prison sentence of 35 years in a US jail for his involvement in terror activities and the 26/11 Mumbai attacks in 2008.